After a successful pitch to the Colorado Department of Public Health and Environment, the Trust for Land Restoration has been awarded $92,000 toward the purchase of mining claims known as the Silver Mountain Mine property, on the side of Brown Mountain for preservation. Pat Willits, representing TLR, informed the Board of County Commissioners of the preservation plan at a regular meeting the evening of Dec. 4 at the Ouray Community Center. TLR’s proposal was originally pitched to the board at a meeting on June 13, where Willits proposed using leftover monies from a natural resource damage fund set up as part of Idarado Mine’s settlement with the state in 1993. The fund started with about $1.1 million but has $238,000 remaining for project proposals. 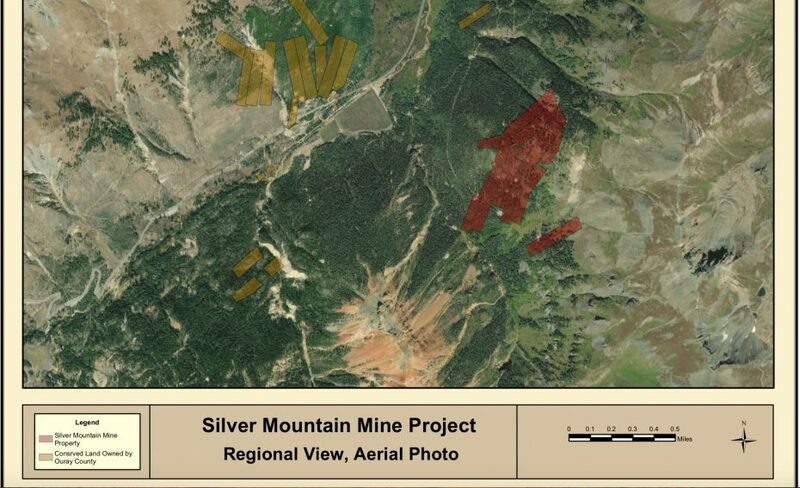 The conclusion of the June meeting had the board proposing a project in the Atlas Mill area backed by Ouray Silver Mines as its primary proposal and Willits’ project idea as a secondary pitch. Willits said the TLR proposal was approved by the state in early October. At the Dec. 4 meeting, Willits told commissioners of TLR’s concept, which involves the restoration organization acquiring the 100 acres of Silver Mountain mining claims, conducting an environmental assessment to tackle any immediate issues on the property and then transfering the area to Ouray County for ownership. The Ouray County Historical Society would manage the properties. However, Willits said, the cost of the property is likely above the amount awarded by the state. Willits said TLR will work this winter on raising additional funds for the project, including reaching out to foundations and benefactors who have supported the organization in the past. TLR has been working in the Red Mountain mining district for several years and Willits is glad the organization took on the work when they did. Commissioners were pleased with the project’s direction. Other than a few red flags involving county code issues and property contamination examination, Commissioner Don Bachelder said he’s comfortable moving forward. “It’s much better to put a lot of these properties in public hands so you know there won’t be development, which could create more issues than not,” he said.